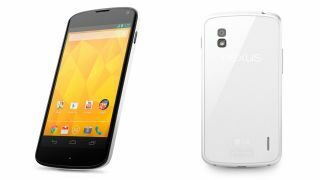 If you like your flagship Android handsets untainted by impurities like colour, LG has just confirmed that the white version of its Nexus 4 handset will launch in Australia in the middle of June. The phone, which goes on sale through Optus and Harvey Norman stores, won't offer anything revolutionary under the hood though, with LG confirming the phone is shipping with the 4.2 version of Jelly Bean and not Android 4.3. Harvey's has got the phone selling for $419 outright, while Optus has it on a range of plans over 24 months. Enjoy our full range of Blips, now available in white.